When you buy a pressure cooker you see that most of them come with a very limited cook book that contains basic pressure cooker recipes. Even the ones that we recommend in our electric pressure cooker reviews come with many limitations. 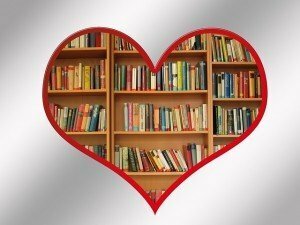 That is why we did the Pressure cooker cookbook reviews and look at cookbooks that contains a lot of recipes. We did research like we always do to find the best electric pressure cooker recipe book but these can also be used for stove top pressure cookers. You might just have to adjust the times a little here and there to get the best result. 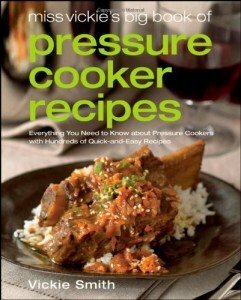 We don’t like to waist your and our time on low quality books so here are the top 5 pressure cooker recipe books. Number 1 best seller in pressure cooker recipes since 2012. 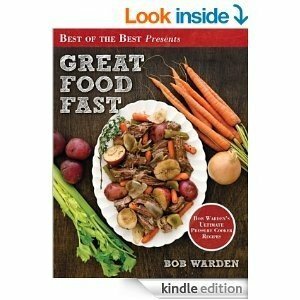 Bob Warden is a well known and respected author and tv host that wrote many pressure cooker cookbooks. This Great food fast cook book got an average of 4.5 stars from over 760 people who took the time to write their comments. Well know cook book for pressure cookers and around for a long time.Miss Vickie is very knowledgeable about pressure cooker and This book is where she wrote all her gathered wisdom about cooking with a pressure cooker. Perfect for new and advanced users of a pressure cooker. With a 4.2 star rating from over 540 people and a number one in the rice cooker recipes you can not go wrong with this book. On her website you can also find many tips and recipes that she shares there. With over 350 reviews and a 4.3 rating this pressure cooker book filed with recipes deserved its place in the top 5. This book claims to be more than a cookbook. It claims to be an in depth guide to pressure cooking. It contains all steps to use a pressure cooker safe and reviewed and tested 12 models. There are 61 recipes in this book that covers anything from stews and chili’s to roasts and fancy dinner ideas. Available in paperback and Kindle version. 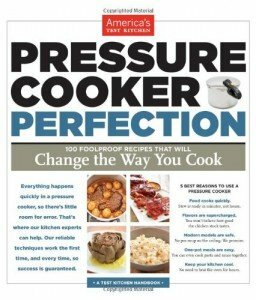 Great book to start with when you are not sure on how to use a pressure cooker and filled with recipes to help you out. 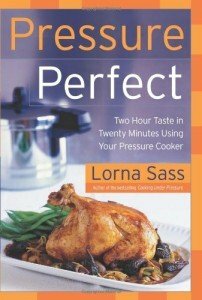 Lorna Sass shares here experience she gathered in over 20 years in here pressure perfect pressure cooker cookbook. With more then 200 recipes this cook book comes highly recommended. Available in Kindle, Paperback and Hardcover there is one for every cook out there. This pressure cooker cookbook comes with over 200 recipes and they range from all kind of homey and familiar to a little more modern recipes. If you look for an all-round cookbook for your pressure cooker that also can give you some new ideas we think this is good book to add to your arsenal of pressure cooking cookbooks. The average rating of 4.4 from over 250 readers should say enough about the quality of Lorna Sass and her writing. 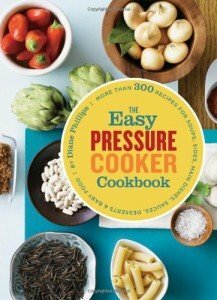 The Easy Pressure Cooker Cookbook written by the well known Diane Phillips is available in 2 formats to cater everyone who would like to buy this great pressure cooker recipe book. With her writing over 14 cookbooks I think we can call her an expert. This book is no exception and got some real good customer reviews. If you look for a book with a lot of recipes you can not go wrong here. Over 400 recipes you will find here and although I read that this book is more targeted to stove top pressure cookers an other comment was that is easy to follow for electric and digital pressure cookers. Going through the reviews I think they are right and it is also easy to use for electric cookers. “I had the privilege of taking a class from Chef Phillips recently. She made recipes from this book and they were so great that I had to buy her cookbook. I have found the recipes to be delicious and thoroughly tested. They come out tasty every time and I haven’t had to make timing adjustments for my pressure cooker. The biggest plus is being able to make risotto in easily 1/3 of the time that a traditional preparation would require (and no stirring). This is a real plus on those busy nights where you want to prepare a nice dinner, but are short on time. Let’s be honest it is impossible to write a pressure cooker cook book that will please everyone. There always be recipes that you will never cook or don’t like. That is why I like to have multiple cook books to add to my arsenal of books about pressure cooking recipes to find more recipes.